The stakes will be big, but the competitors small as junior chefs ages 10 to 14 compete for a chance to earn the title of Chopped Junior Champion on the new series Chopped Junior, premiering Tuesday, Oct. 27 at 8|7c. They bring their unbridled energy, limitless talent and big personalities to the Chopped kitchen. 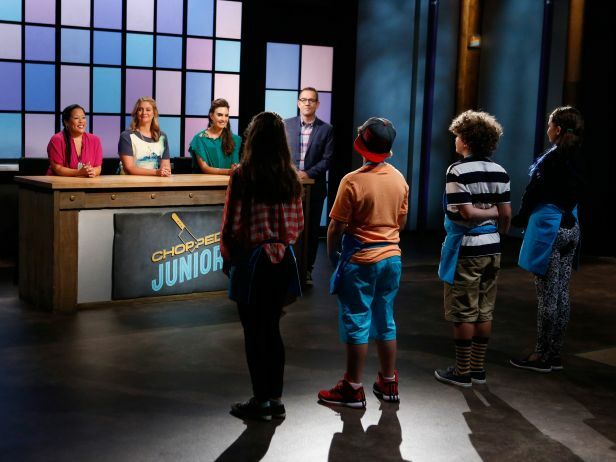 Like in regular Chopped, $10,000 is on the line, but only one kid can win the monetary prize. In addition to the regular judges, renowned chefs and celebrities will take seats behind the judges’ table, including Sam Kass, Sam Talbot, Michelle Bernstein, Martha Stewart, Laila Ali, Valerie Bertinelli, Mila Kunis and Hayden Panettiere.